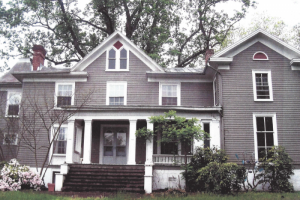 Building Goodness will use WUP’s $30,000 grant for projects with three local non-profits. By improving the spaces of two existing non-profits and building a playground for a budding Head Start program, this grant has the ability to provide transformation and impact to many in our community. Most of the funds requested will be used to build a playground at Pilgrim Baptist Church, which allows this community center-like organization near Westhaven to expand their after-school program into a Head Start program. The remaining funds will be used to rebuild the porch of the Barrett Early Learning Center and to improve the large community space at Camp Holiday Trails. 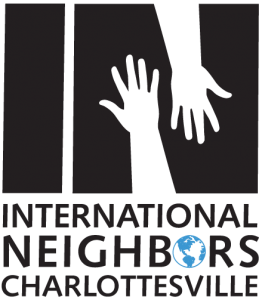 International Neighbors is seeking to transition from an all-volunteer effort into a sustainable non-profit structure with paid staff for the first time. Recognizing that a sense of well-being, control, and self-efficacy in the face of challenges are fundamental to all success, IN will use Women United in Philanthropy’s $30,000 grant to aid in providing three key services in these areas to foster success for our international neighbors: (1) access to adult and pediatric dental care, (2) driver’s education, and (3) in-home English tutoring. Grant funds would extend and strengthen three IN program pillars: (1) addressing critical health needs via the Super Smiles Program, (2) improving English via the Bilingual Buddies In-Home Tutoring Program, (3) improving independent mobility via the Driving the Dream Program. Increasing diversity and multicultural awareness in the local public school systems is the mission of African American Teaching Fellows (AATF). 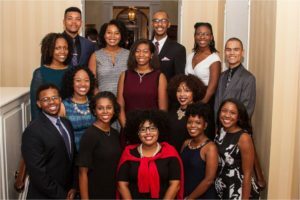 To help achieve this, AATF is using their $25,000 Women United grant to provide college tuition assistance to five African American student fellows in exchange for a commitment to teaching in the Charlottesville-Albemarle area after graduation for the same number of years for which they received funding. Fellows are also given professional support and guidance on leadership development, as well as opportunities geared to connecting the fellows to our community. The Women’s Initiative (TWI) is using their $25,000 Women United grant for the operation of critical mental health services to 3,200 women through its core programming. Women served come from diverse socioeconomic and cultural backgrounds; many have been the victims of abuse, suffer from trauma, and face a variety of challenges such as the death of a family member, divorce, poverty, and post-traumatic stress disorder. 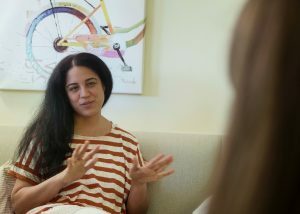 TWI offers mental health counseling, social support, education and outreach to those needing help coping with depression, anxiety and trauma through individual and group therapies.